The overall flood mitigation, the report says, is being planned through a detailed hydrological and hydrodynamic modeling study, “using commercially available MIKE FLOOD software. One of the alternatives for calculating the flood discharge is by observed rainfall and spillway overflow.” The same is being done by using MIKE 11. 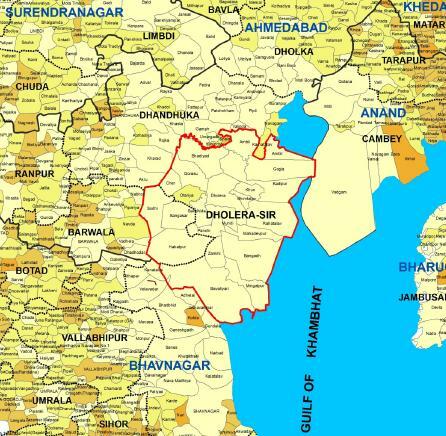 “The rivers traversing the DSIR area are rain-fed rivers and hence water flow in river is only during the rainy season or till rain water precipitated is disposed off. The floods generated in rivers are dependent to the intensity, duration and spread of the rain storm and also the hydraulics of the river”, it adds. • Provision of weirs across the rivers to act as barriers to stop sea ingress and the entry of silt and to raise the water level in the rivers for recreational and aesthetic purposes. 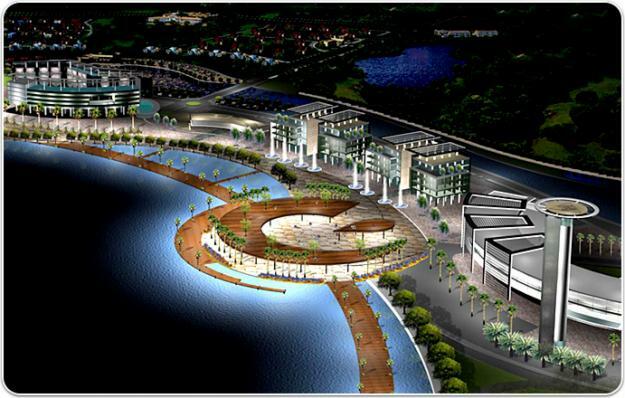 http://en.wikipedia.org/wiki/Kalpasar_Project………….. this project may reduce the risk of floods in dholera region………..